Supplementary material reads: "Chernus -- Harbor. Captions. Six negs. 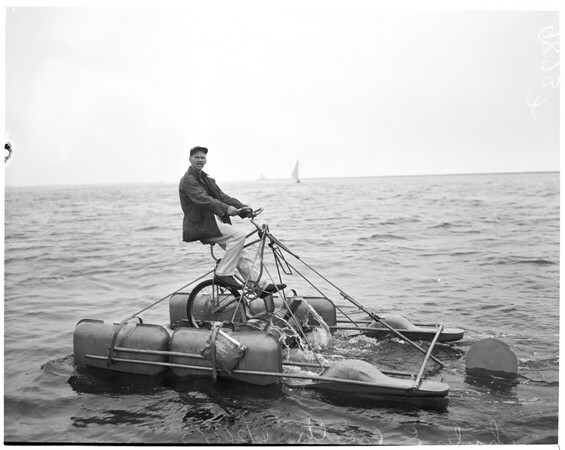 show Charles E. (Fantastic) Smith aboard his weird nautical bicycle with which he attempted to peddle backward to Catalina Island from Cabrillo Beach today. The device (is that a device) is made out of half a bike, six, 10-gallon gasoline drums and bronze paint."